1999 ?? Back in 1997-2000, I ran a fanzine called News From The Infested Graveyard. I did some interviews and a lot of reviews. The fanzine has now ceased to be and all the interviews and reviews has been incorporated into my own homepage where it is now well hidden among all other stuff. Dreams Of Sanity was quite a good band who were sadly under-valued and this interview is too good just to be hidden away in on a personal website where nobody reads it (3 genuine different IPs/visitors in 9 months.......).Which means this slightly re-worked version of this interview is exclusive to PA. I hope the PA staff have no objections to the inclusion of the interview here. 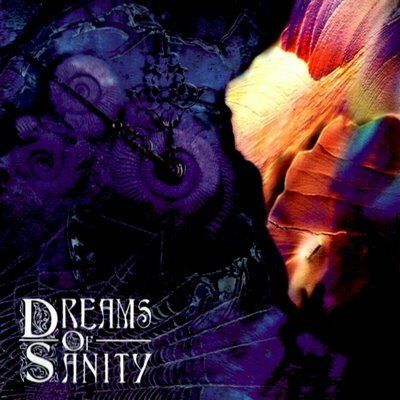 Dreams Of Sanity was disbanded in 2002 after releasing three albums on Hall Of Sermon (Lacrimosa's label). I caught up with the band just after the release of their second album Masquerade. As usual, my questions are in bold and their answers are in bold italic red. 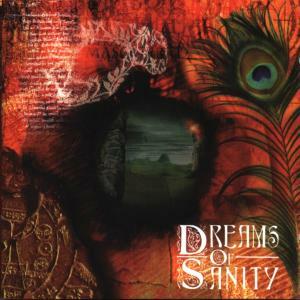 Dreams Of Sanity is one of the band that combines Classic Music and Goth Metal. Their second album "Masquerade" is a very good Goth Metal release from a very untraditional band. I contacted their bass player Michael Knoflach for an analysis of Dreams Of Sanity's music. How is life in the middle of the launch of your new album ?? Stressful, quite stressful, but also fun because it's one of the few occasions where you get a lot of feedback (and a lot of attention - that's something you really sometimes need as an artist). When and where was Dreams Of Sanity started ? Why did you choose the Dream Of Sanity name ? Dreams of Sanity was formed as a band under that name in 1991 in Innsbruck - Austria. In those days the Innsbruck underground was really into black metal of the very stupid type, like playing football with dead birds and cutting into your hand while playing to show the sacrifice to satan while playing (no kidding!). We didn't want to make noisy music with that attitude, so we chose the name „Dreams of a non-sick-mind". Please tell us more about your debut album Komodia. The title „Komödia" is a hybride between the original titel of the „Devine Comedy" (written by Dante Aleghieri) 'Comedia' and the German 'Komödie'. Komödia 1 - „The Beginning" is set before the book itself. We try to explain how Dante might have felt before he left his home. After Dante has seen the Inferno and the Paradise he returns to earth. His live seems useless now that he has seen god and the devil. The song consists of 3 Parts: First of all about his present lifestyle, then the dream he has this night and the following morning. Though he cannot remember what he dreamt he has found some power and drive again and leaves his home again. In Komödia part 3 he meets his old friends who guided him through the book (Virgil and Beatrice), who tell him that he has to look for his aim in live. So he is on his way in Komödia part 4 „The Ending" and finds his aim. „The Prophet" is an apendix to the Komödia Concept. In part 1 an old man talks to Dante. 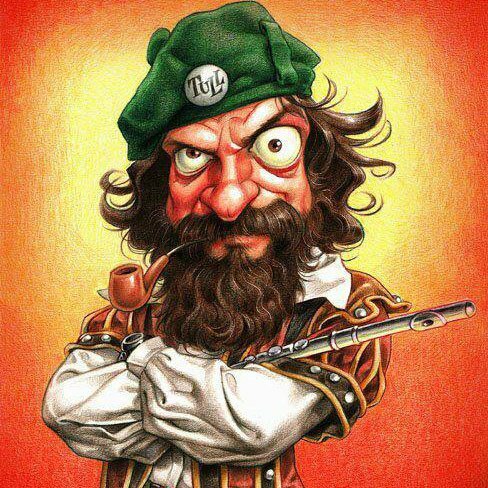 The story of this old man is told in this song. „The Treesitter" and „The Blade of Doom" are seperate stories. Please give us a full insight to your new album "Masquerade". The recording, the tracks, the line up on the album and the art- work. The recording was made in Hamburg in the same Studio also Lacrimosa and Therion used. The line-up was the band members and Tilo Wolff as guest vocalist for „Phantom of the Opera" and J. P. Genkel for a solo on „Masquerade act 1". The artwork was made by a friend of ours (Andreas Seebacher), who knew the concept and our sound and try to fit the cover to it. Please tell us more about the lyrics and the "Masquerade" concept. I'm going to start with the easy part: the other songs. Within (The Dragon): The lyrics were basicly by Sandra and I gave them a bit of a twist and turn. It's a song about how this world looses its abiltiy to dream (mataphorised by a dragon that flies away). We couldn't decide weather the song should be called „Within" or „The Dragon" so ... We wrote this song right after we recorded Komödia (after „The Maiden and the River"). The music was starting the idear to get a tighter rhythm-section and more rhythm-guitars into our sound. The Maiden and the River: It's a story about an old man who sits at home and remembers when he met the women of his dreams, but didn't dare to speak to her. Musically it was the same „phase" as Within. 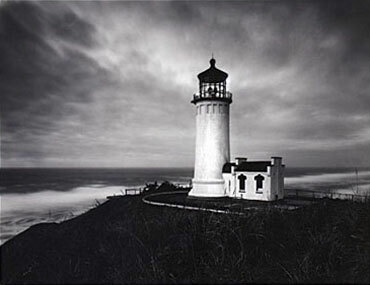 The slow part was strongly inspired by Lacrimosa. Lost Paradise '99 is the first time that we recorded the first song we wrote under the name of Dreams of Sanity in 1991. The song has not changed for the last 5 years and it also fits well into the Concept because it is also about masking. Opera is the Intro which tries to pick up the flair of the Cover-Version written and programmed by our new Keyboarder Frédéric Heil. We knew the Musical the Phantom of the Opera for quite a while and were always impressed by the intense flair it head though sometimes the commercial attitude in it was bad. Already the first singer we had back in 1992 said she could sing the whole Musical-part of Christine. Since then we always had the idea of Covering the Titeltrack, but until now we never found the right singers to do so. First was the idea of making a concept about the character of the Phantom and later we decided also to put the coverversion on the CD. The only logical "Phantom" was Tilo Wolff and we were lucky, that he is not only our boss, but also our friend. Still it took us a long time to persuade him to play his part. Masquerade act 1 is the most complex song on the CD. It tries to explain how Eric (the name of the Phantom) used to live and why he decides to wear a mask (we interpret the mask not physical but rather masking the feelings and the true caracter in order to surwive in our society). The Piano-Solo was a first take in the studio. We were so surprised how well it sounds that we erased all guitares from that part. The guitar solo is played by J P Genkel who also is Member of Lacrimosa. Masquerade act 2 is a rather happy song because the freedom of movement Eric has gotten by masking himself let him see new things. 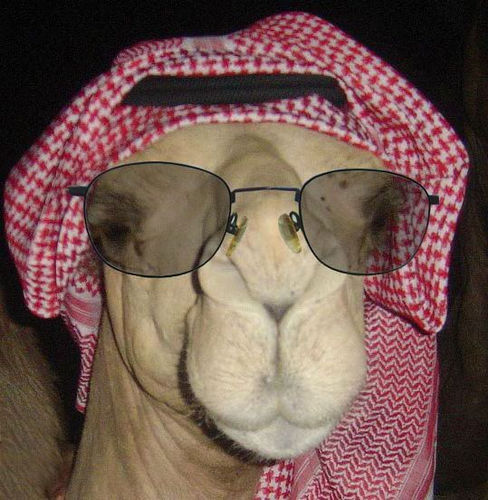 He is on his way and wants to find life and love. Masquerade - Interlude has not an own act - number because it links the journey to the plot in the opera. Musically it was a new task for us not to write a whole song but rather a bridge. This song also plays a lot with „Musical"-style arrangements. Masquerade act 3 is the meeting between Christin and Eric where she tells him that she fell in love with somthing inside him she cannot see anymore. So Eric decides to take of his mask again, but fails .... Act 3 and 4 are rather slow songs because we just couldn't make a happy power-rock song with that background. It is my impression that the new Goth Music scene follow the same pattern as the Romantic New Wave scene did 20 years ago with bands like ABC, Duran Duran and Human League. The similarities are striking. The Romantic New Wave scene was a reaction to the Punk music; the new Goth Metal scene is a reaction to the Death Metal scene. What is your view ? I also get a kind of deja vu feeling when I listen to "Masquerade" because bands like Rush and other concept albums bands from the '70 was the cornerstone in my childhood. I find some similarities with your new album and the concept stuff Rush did. What is your views on the concept albums era from the '70 ? We were really inspired by the early Mike Oldfield works and less by Rush (I started to like them only a few years ago). I think a concept album makes a CD more a whole piece of art than just a lot of songs in a row. The problem is that it's hard to do concepts and most of people don't like them to much. Still our next album is going to be a concept again (but so far I don't intend to use a book). Sir Andrew Lloyd Webber has frequently been mention in the promo material from your label. What kind of similarities between Sir Andrew Lloyd Webber and Dreams Of Sanity can be found on "Masquerade" ??? We covered his Song. We also have some Musical - like parts on Masquerade (e.g. Masquerade - Interlude, or the vocals on Masquerade act 4). But a lot of similarities ... no. Are you comfortable with the label "Goth Metal/Rock" ? Why/why not ? When we released Komödia we did know nothing of the big Gothic movement in Germany. We came form the Heavy Metal Underground, but develloped some elements for our own that sound like Gothic (and they maybe are). We were quite pissed when everyone said Komödia was a Gothic-Album, while we considered it as Heavy Metal. Now that I am more up to date to the modern Metal Scene, I agree, that the term Heavy Metal means somthing else now. So I think we can rather be considered as Gothic Metal. But it is not up to the band to label oneself, because the distance is not big enogh. Once you play songs for that long you cannot see the whole of it, but rather know all the details, and cannot say that ist this or that. Still I would not label Dreams of Sanity as a Gothic band, but still if someone who likes Gothic also likes Dreams of Sanity I would not be surprised. Let us leave the Goth Metal/Rock scene behind and venture into Classic Music. Which classic composer and piece of classic music, art and literature has inspired you most ? I am responsible for most of the lyrics and do only little songwriting, so I am rather going to talk about the literature: The Divine Comedy inspired me by the few pages to start writing the Concept because of its dense flair and excelent choice of words. With the Phantom of the Opera it was the intrest for the past of the Phantom itself. My emotional background is rather met by more contemporary writers (post-war that is). My altime favourit is Wolfgang Borchert's „Draußen vor der Tür" and most of Heinrich Böll's works. But I also read almost everything from Cees Nootebom, Umberto Echo, Joseph Roth and many more. Sometime I read science fiction like Stanislaw Lem and Isac Asimow, and when I have to work a lot I calm myself with some mellow Agatha Cristie. What is your religious and philosophical views ? I personally am an Atheist. I don't believe in god or any higher being. I think death is the end, but don't see anything frightful in that, and I also doesnot make me an egomanic ashole. There should be more motivations than heaven and hell to treat your next as you might want to be treated. Sounds logical, but is sometimes really hard! What are your plans for the coming months and year ? Any tour plans? We want to go on a small tour (10 days). So far our hit-list had to be canceled: The Gathering already had a support act, and Lacrimosa are on tour too late, so we are still looking ... We play some single concerts in Austria meanwhile. The next album is going to be recorded in August and then .... well I don't know - the best is to send me an interview again. What is the main income of the band members in Dreams Of Sanity ? How do you bring food on the table ? Christian and Harald have normal day-jobs. The rest is studying and living from their parents or short time jobs. Thank you to Michael Knoflach for this interview. ................. and we are back again to 2010. I think the Masquerade album has stood the test of time. It is a good, honest symphonic goth metal album in the same vein as Nightwish. ........ or rather better. Dreams Of Sanity's PA profile can be found here and their albums somewhere at Ebay or in any other second hand shops. I hope you are not offended by my inclusion of this interview in PA. If anyone knows the band or anyone from the band is present here; please PM me. Thanks for this interview. I love Komodia!! Intristing interview, I know this band quite well and it was surprising to see this after 10 years , still great.